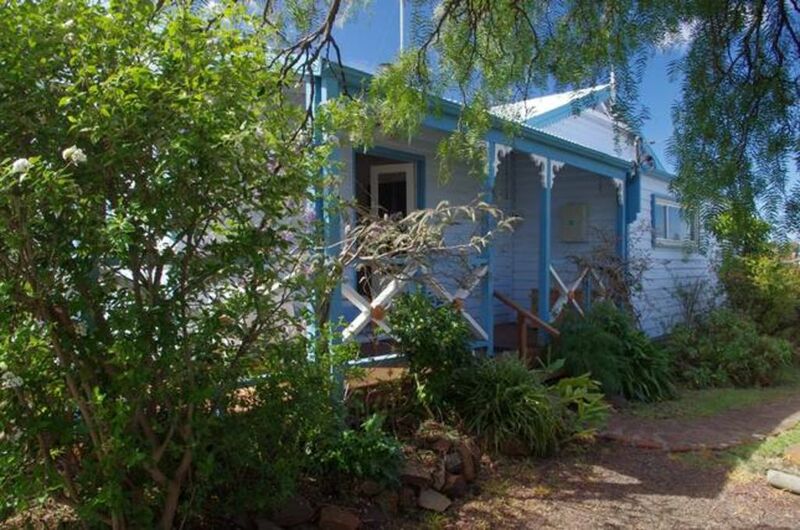 Pettit Cottage an older style Cottage centrally located in the historic township of Swansea. Walking distance to cafes, restaurants and shops , two minutes walk to beaches on Great Oyster Bay which overlook Freycinet Peninsular and "The Hazards" . The cottage has one queen size and one double bedroom as well as a third bedroom with bunk beds There are two bathrooms. There is a well equipped kitchen with dishwasher, dining suite and breakfast bar. Living area is spacious with television and DVD player. The cottage is heated with electric heaters and a wood burning heater. WiFi is available. A lovely cottage with a cosy log fire, the lovely fresh flowers were a welcome delight, easy walking distance to Main Street. Nice place for a family with things to entertain small children, it was just my husband and I so plenty of room. Thankyou Ada for your comments and thankyou for choosing Pettit Cottage for your Swansea stay. We had a lovely stay at Petitt Cottage. A very spacious property with a huge lounge/kitchen/diner and three good sized bedrooms. We so enjoyed sitting on the veranda which is really pretty with wisteria and roses winding around it. The kitchen is well equipped, bed soooo comfy. Having a dryer was unexpected, and very useful. It was great to have Port and cookies left for us too, a very nice touch. All in all a great place to stay, and the local hotel serves a really good dinner. Thankyou Debbie for your kind review. I am so glad you found your stay enjoyable. We do aim to make our guests enjoy the beautiful East Coast. Pettit Cottage was lovely. It's very clean and the hosts provide lots of little extra touches to make for an enjoyable stay. It is ideal for families. Swansea is in a central location on the east coast of Tasmania but you do need a car to see the surrounding attractions. My friend and I felt very much at home in the cottage. So glad you felt at home at Pettit Cottage. I am sorry I didnt get to meet you - family and farm pressures prevented this. What a lovely way to celebrate your birthdays with a trip such as this. We enjoyed our stay at Pettit Cottage which is very centrally located to shops, cafes and lovely walks. It is located on a corner of the main road but was not noisy at all. As we had been travelling for days we were disappointed that there was not a clothes dryer in the house which is unusual these days. We managed but with some difficulty. The Cottage was spotless and we appreciated the several welcoming touches. Thank you Pat. An extremely comfortable cottage that is well situated to conveniences. It is well equipped with lots of personal touches that make it a special place. Pat is an extremely thoughtful host, even left us some Port as well as some homemade cookies. We had some bad weather during our stay but the comfortable stay made up for this. What bad luck you had some bad weather while in Swansea. I always feel personally responsible when the weather is bad!! I am pleased you found the Cottage comfortable and hope you enjoyed the rest of your Tasmanian stay. Stayed at Pettit Cottage at the end of our nine day holiday in Tasmania. Delighted, with this pretty little home from home. Everything was thought of, plenty of bedding, blankets, towels, warm and cosy with heaters, wood fire and electric blankets. The house was clean, so comfortable with extra touches like flowers and little home cooked biscuits. Also central to town, beach and great fish and chip shop! Thankyou Julie. We would like to welcome you - or your friends - if you return to Tasmania.